History gets fluffy in this tale of a boy, a cat and war hero Winston Churchill. 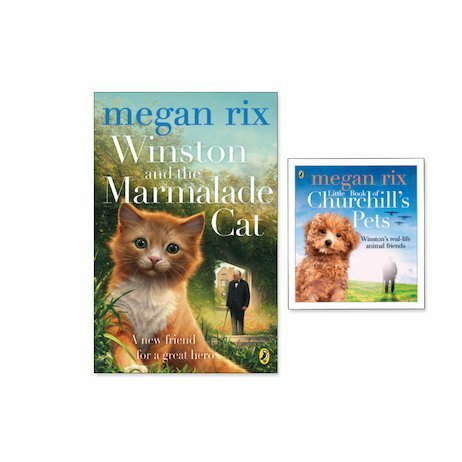 Plus – meet Churchill’s real-life pets in a FREE mini book! Harry is nine, and he dreams of having a pet. Instead he helps out at the animal rescue centre (the next best thing). One day, Harry is asked to take a very special birthday present to Chartwell: the grand country home of famous Prime Minister Winston Churchill. On his visit, Harry learns all about Winston’s much-loved pets and his heroic role during the war. Will Harry actually get to meet this great British hero? And will he ever get to have his own pet? Exclusive FREE mini book about Churchill’s own pets!